Four teenagers have been charged with trespassing and vandalizing the grave of a fallen police officer. 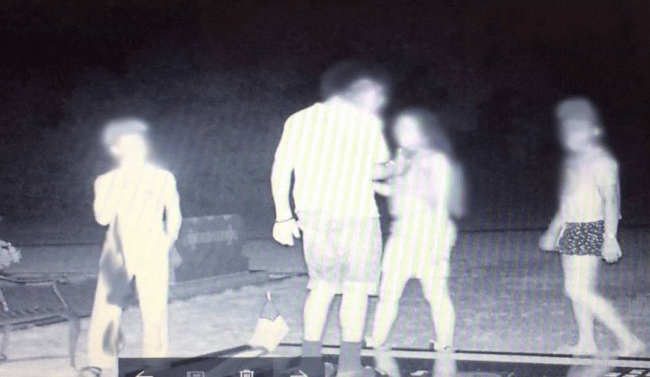 Surveillance camera photos show a group of teens standing, spitting, and walking on officer Nick Smarr’s grave in Americus, Georgia. WSAV reports that the camera was installed by his mother, Janice Smarr, who says she found footprints covering her son’s grave when she visited for the first time. She claims it happened at least twice within the past week. Her brother put a camera up to catch anyone who desecrated the grave.